This year, in response to a proposal we filed on behalf of my wife, Myra Young, the Board of the Berry Global Group amended its bylaws and governance guidelines to require a majority vote for directors running in uncontested elections and further requiring that unsuccessful nominees tender their resignation. (8-K filed November 30). We are gladly withdrawing the proposal, which was implemented in full. For the 2017 annual meeting we filed for proxy access. The Berry Global Group was granted a no-action letter from the SEC for largely implementing that request. For the 2016, we filed to elect each director annually (declassify the board). That won over 90% of shares voted at the Berry Global Group. Previously, the Company’s Bylaws provided for election of directors by plurality vote. The Amended and Restated Bylaws provide that, other than in a contested election (i.e., an election in which the number of candidates exceeds the number of directors to be elected), each director shall be elected by the vote of the majority of the votes cast. In a contested election, directors will continue to be elected by a plurality vote. In addition, the Board approved the amendment and restatement of the Company’s Corporate Governance Guidelines (the “Amended and Restated Governance Guidelines”) to include a director resignation policy effective as November 30, 2017. The Amended and Restated Governance Guidelines require an incumbent director nominee who receives more votes cast “against” than votes cast “for” re-election to tender their written resignation from the Board within 10 business days following the certification of the election results to the Nominating & Governance Committee of the Board for their consideration. The Nominating & Governance Committee will make a recommendation to the Board as to whether to accept the director’s resignation; the Board will consider this recommendation and determine, within 90 days after certification of the election results, whether to accept the director’s resignation and will promptly publicly disclose its decision (including the reasons underlying the decision). When we filed the initial proposal to declassify the Board at Berry Global Group my wife had 110 shares, worth about $3,500. The Financial Choice Act would have required that she own at least 1% of the company, millions of dollars. Her shares are now worth about $6,600 and are more attractive to investors, like most members of the Council of Institutional Investors, who favor a majority vote requirements, proxy access and a declassified board. Tomaino filed the first shareholder proposal asking a U.S. company, Starbucks Corp., to offer parental leave to all employees, including adoptive parents and LGBT couples, at all wage levels. Starbucks opposed the proposal but amended its leave policy to include adoptive parents working in retail locations. That’s just the kind of proposal SLB14I appears intended to stop. Here’s to unsung heroes who help make corporations a little more democratic. 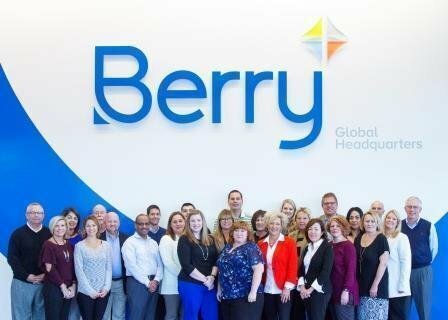 Great results with Berry Global Group. Keep up the good work.